The SAINT (Social Action in North Tyneside) project has vacancies in their Little Free Library woodwork sessions at Meadow Well Connected’s joinery barn on Wednesdays from 10am to 12 noon. The aim of the project is to create a Little Free Library, which will be installed at Meadow Well Connected, to encourage people in the area to access free books and to spend some time with loved ones reading. People interested in woodwork and construction are encouraged to get in touch to find out more. 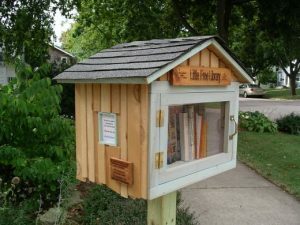 Read more about Little Free Libraries here.